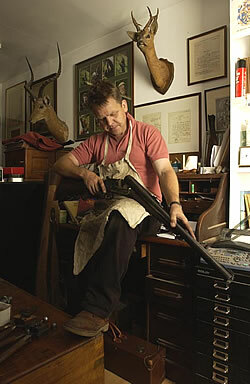 From our work shop in Wiltshire we can build you new s/s shotguns and rifles, both side and boxlock, O/U guns, bolt action rifles from .22 to .505 magnum and new Farquharson falling block rifles. We also have a shotgun range for fitting, tuition and practice on site. A large selection of some 150 shotgun and rifle walnut stock blanks are kept for customer choice. All other repairs from sleeving, rebarreling, new springs, rejointing, bending and alteration of stocks carried out to the highest standards. 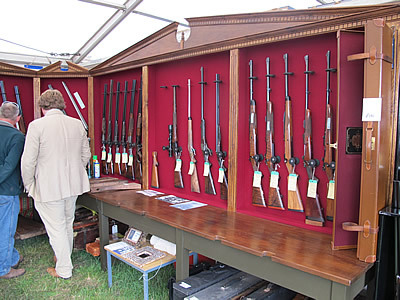 We also offer a brokerage service to sell your gun for you or to find the gun or rifle you require. 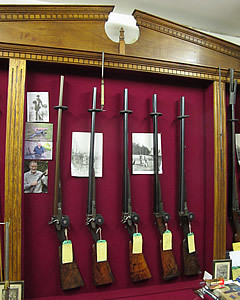 We will purchase guns and offer a number of modern, vintage and antique guns and rifles for sale as well as cases and accessories.